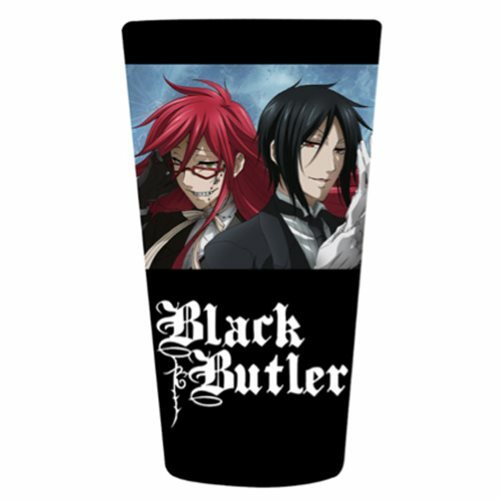 The 16-ounce Black Butler Ties Pint Glass shows back-to-back images of Mey-Rin and Sabastian, and the Black Butler logo. Hand wash only. Not dishwasher safe. Do not microwave. Ages 13 and up.